A person should have the freedom and opportunity to move freely about their homes and places of work. A stair lift, or stair glide, is a perfect solution for someone who is too old, permanently disabled or just temporarily forced to use a set of crutches in order to get around. Buying a basic stair lift is something that most Americans, at some point in their lives, will have to contemplate – either for themselves or for when a disabled relative moves in with them. 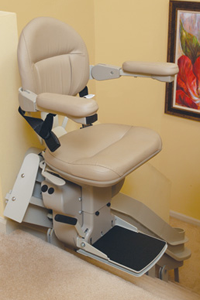 One of the more popular stair lifts is sold by Indy Stair lifts. The Indy Pinnacle Stair Lift is a perfect example of how a stair glide stair lift can enhance the quality of life for someone who cannot traverse a set of stairs. Sitting only eleven inches away from the wall, it is one of the narrowest stair lifts on the market. This stair lift, or stair glide, and many others like it are designed to give the elderly or the temporarily disabled a sense of independence they will embrace while also giving them the sense of security they desire. Because these stair lifts are made so that a person can use them without help, family members will feel perfectly comfortable leaving their loved ones alone while they go off to work, go out to dinner or go on a short vacation. An investment in a stair lift or even renting one on a short term basis is a thoughtful investment for the heart and mind of the person who is feeling down about being disabled. Stair lifts can also play a vital role in small to medium sizes business. 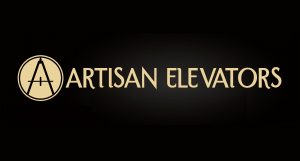 Because it is a violation of federal law to discriminate against anyone who is non-ambulatory, stair lifts offer a fair and reasonable solution to a potentially complicated and possibly litigious issue.